Well, excited and overwhelmed. Our daily schedule has changed overnight. We’re all in a bit of a shock. Getting out of jammies 5 days in a row is not our norm. We’ve altered our nap schedule and thus far, the meltdowns have been a medium on the scale of “easy breezy” to “mass drama”. And of course, the witching hour exists on the daily. Well, let’s be honest … hours. We get home from picking up our international student around 4pm and Dominic doesn’t get home until 6:30pm, if traffic is on our side. That means I’ve got 2 1/2 hours of overseeing homework, escorting Jemma to the potty for potty breaks, bribing with TV (because yes, I do … it’s called survival at it’s finest) and holding or wearing Max to keep his tears at bay. Oh, and dinner. Because everyone is hungry and hungry NOW! I’ve always been a big proponent of family meals. Everyone sitting together, family prayers, discussing the day and enjoying nourishing food. But right now, in our current season, family meals just aren’t possible. Kids are hungry by 5pm and therefore whining, I’m getting shaky from a too rushed/small/nonexistent lunch (do any of you mamas experience the low blood sugar shakes?) and Dominic isn’t arriving home until 30-60 minutes before our bedtime goal so squeezing in that routine along with dinner is just crazy. So, Dominic and I made the decision for me to eat with the kids around 5pm on weekdays and just set aside a portion for him to warm up later in the evening. It isn’t ideal, but it’s our life right now. Being the third meal of the day, dinner preparation during the witching hours needs to be fast. Like, really fast. So I was thrilled to give Pillsbury and their fabulous 30 minute recipes a go. They obviously understand busy mamas and what the dinner hour consists of! Calm the children – you’re gonna need 10 minutes of prep time max :) That’s it! Cut each biscuit into 8 pieces and place in a mixing bowl. Toss with pesto and pizza sauce and 1 cup of mozzarella. Spread mixture into a 9×13 baking dish. Top with pepperoni and sprinkle with remaining cheese. Bake for 20 minutes and watch the kiddos go ::nom nom nom:: with happiness! 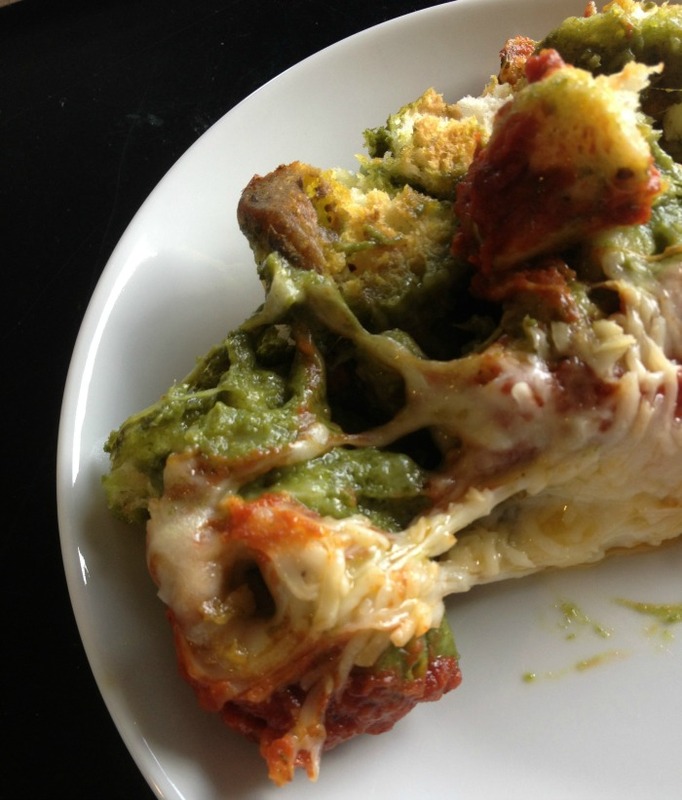 My pizza bake was a slight modification of the original recipe, Grands!® Pepperoni Pizza Bake. It’s a super basic recipe that you can tweak to your needs and what’s in the fridge. I think it would be really yummy with a white sauce too! Ready for some more quick and easy recipes? 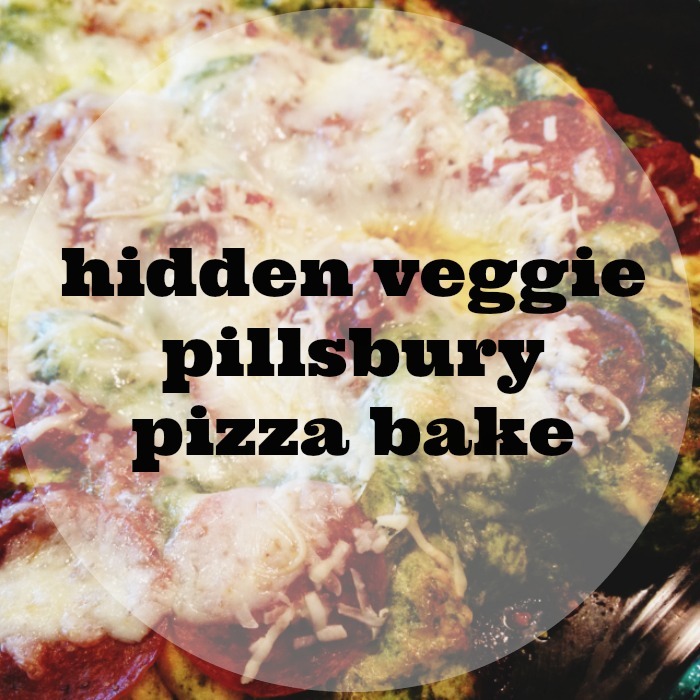 Download the Pillsbury recipe booklet and you’ll be set for a few fabulous evening meals. Which one are you most excited to try? These are next on my list! Whoa, mama- new look? OhEmGeeILoveIt!!!!!!!!!! Also? I can't wait to try this recipe! Um, yes!! Get sneaky, mama!